As a maker, I have a non-extinguishable drive to create and innovate. I don't like to make just anything, I prefer to make the right things for the right reasons. PUZZLES & CHALLENGES ARE MY JAM. Untangling a problem space can be daunting. I believe in taking the time to define goals, create a strategy, rough-in a timeline to level-set expectations and open up communication to get the team rallying around a unified vision. One can always pivot to change course, but you need a path to start on. From complex to simple. From frustrating to delightful. The WORK IS A REFLECTION OF THE PROCESS. On every work effort I set out create solutions to user problems and generate ideas that meet business and technical goals. 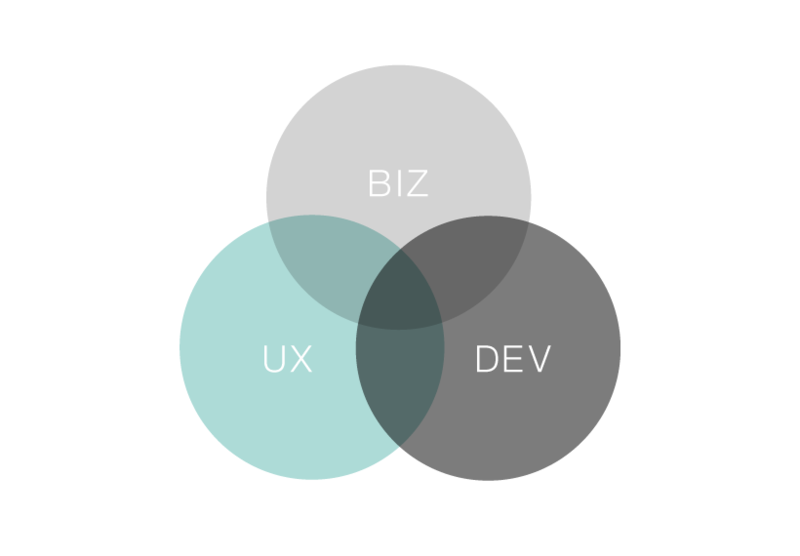 I advocate for users, it is my passion and purpose in design, but meeting the needs of these three pillars is what equals success.